After merging, restructuring, and dissolving, a total of 26 ministries and commissions will, according to the plan, remain, reducing the number of ministerial-level entities by eight and vice-ministerial-level entities by seven. This is likely to take effect from June 2018. 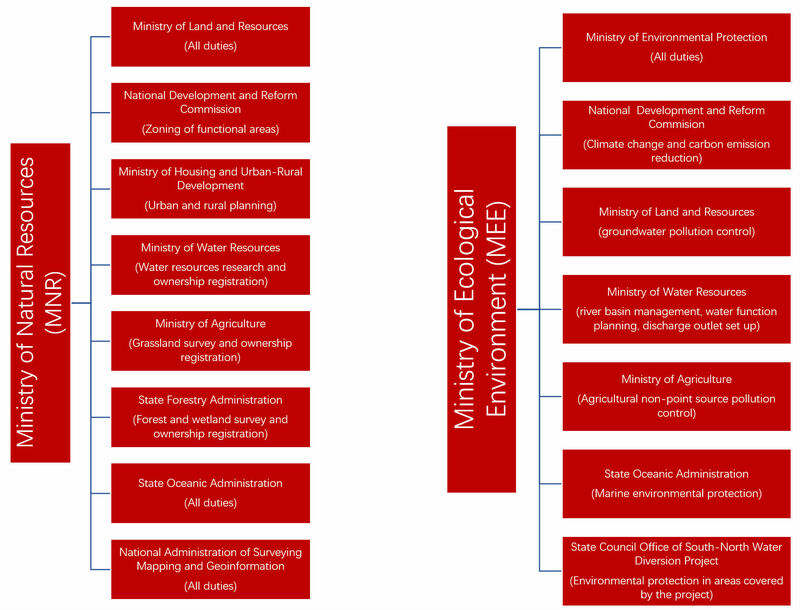 Among the most significant changes is the strengthening of the current Ministry of Environmental Protection (MEP), which will see its mandate widened and its name changed to Ministry of Ecological Environment (MEE). In addition to the portfolio of the current MEP, the new ministry will take over responsibilities from other governmental entities, such as the climate change portfolio that has been under the National Development and Reform Commission (NDRC), including the carbon market (ETS). The Ministry of Land and Resources is also involved in the reshuffling. While it retains its former responsibilities, the ministry will be taking over the management of natural resources from other ministries and administrations, under its new name of Ministry of Natural Resources (MNR). According to FNI researcher Gørild Heggelund, the current moves to strengthen management of the environment underscores the importance of environmental matters in Chinese policy-making and seen from the outside is a very positive development. However, it does not come as a surprise. ‘The importance of the environment was already apparent at the 18th Party Congress in 2012, when the concept of Ecological Civilization was incorporated into the Party’s constitution, and became the fifth element of the existing four pillars of China’s development policy’, says Heggelund. ‘The reshuffling of China’s ministries and subsequent strengthening of the environmental ministry had already been discussed for some time. China’s environmental challenges are generally a concern for the Chinese leadership, and a gradual strengthening of environmental policy has taken place over several years’, she continues. Despite the reshuffling process and positive changes, certain challenges are likely to remain, not least in terms of effectiveness, policy coherence and inter-ministerial coordination. ‘For instance, the energy portfolio remains with the National Development and Reform Commission (NDRC) and the National Energy Administration (NEA). China’s energy is still largely fossil based, with coal constituting approximately 60 per cent of the energy consumption. The new Ministry of Ecological Environment will therefore have to work closely together with the NDRC to address the energy related carbon emissions’, says Heggelund. Moreover, it is crucial to pay attention to policy coherence and the linkages between environmental policy and other related policies such as the energy trading schemes launched in four pilot provinces, air pollution policies, and importantly, the ongoing reforms in the power sector, to achieve effectiveness. 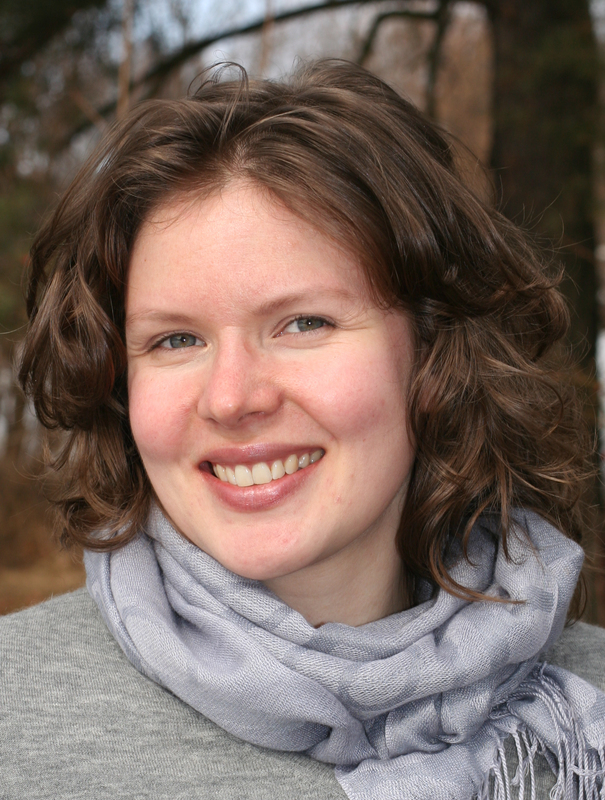 As for the national carbon market (ETS), officially opened on 19 December 2017, the consequences of the reshuffling process and changes in responsibilities are not yet certain, according to FNI researcher Iselin Stensdal. ‘Hopefully, the ETS will be strengthened under the leadership of the Ministry of E cological Environment, but legislation on the ETS is needed regardless. 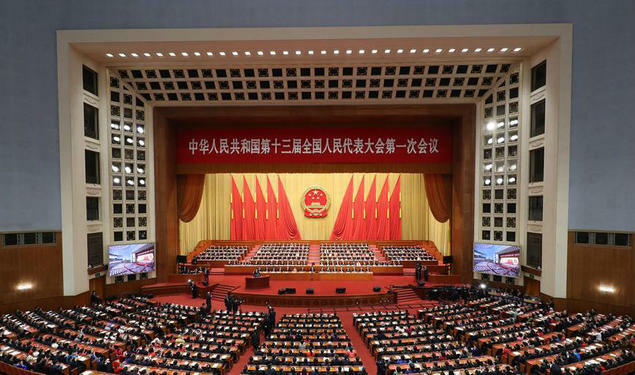 During the National People’s Congress (NPC) and the Chinese People’s Political Consultative Conference (CPPCC) these past two weeks, the All-China Federation of Industry and Commerce asked for legislation to be adopted quickly, to ensure predictability for the industry and businesses. Delegates to the NPC have voiced similar opinions, citing concerns that it will be harder to reach the planned carbon emission peak by 2030 without the ETS’, Stensdal explains. As for saving the environment, Stensdal point to the consolidation of ETS and other environmental issues under one ministry, as an effort that may lead to better coordination between different policies. Better coordination should reduce unnecessary double work, and will also benefit businesses obliged to report on progress along several parameters. NPC concluded on 20th March. For more information see Premier Li Keqiang meet the press here.